Redington Village was established in 1867 to support the Coleraine Furnace Company, which operated in the last quarter of the 19th century. The owner of the iron company, William T. Carter, began laying out house lots and upwards of 50 houses were built for the company's iron workers and their families. By 1885, this community had almost 200 inhabitants while the Coleraine Furnace's work force had surpassed 400. Soon after, there was a need for a general store, a post office, a school and a chapel. Redington Chapel served the members of the community by providing a place to worship, as well as a place for Bible study. By the end of the 1800s, Bethlehem Steel bought Coleraine Furnace Company and used it as an armaments testing area. 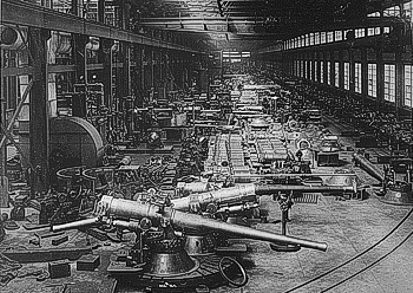 Later, Bethlehem Steel constructed a large shell-filling plant, which operated through the 1st World War. 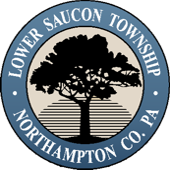 Today, remains of the iron company and the village are located along the steep slopes of the Lehigh River in Lower Saucon Township, with the tracks of the Lehigh Valley Railroad running through, east of the city of Bethlehem. Redington Chapel was built in the 1880s on a hill overlooking the iron works and the village. The land on which it was built was donated by William T. Carter. Circuit pastors from various nearby churches traveled to the small chapel to conduct services for parishioners. There were Bible study classes held at the chapel, which evolved into a religious school and library that was attended regularly by 40-50 students. Over the years, several area churches were affiliated with the chapel, such as the Williams Township Methodist Episcopal Society, the Presbyterian Church of South Easton, and the Church of the Nativity in South Bethlehem. When the church stopped being used for religious groups, it was converted into a residence. The chapel was Greek Revival in style, with a gable-front orientation and decorative window lintels. It was constructed simply of wooden clapboard siding, with a slate roof. In late 2007, because the building was very dilapidated, Lower Saucon Township decided to demolish Redington Chapel. To recognize the significant role the chapel played in the life of Redington Village, the Township installed a historic marker at the site on Saturday, October 24, 2009. The State Bureau for Historic Preservation declared that the district was eligible for listing in the National Register of Historic Places on January 31, 1990.